Do you think Giant 3D Printer is for you? 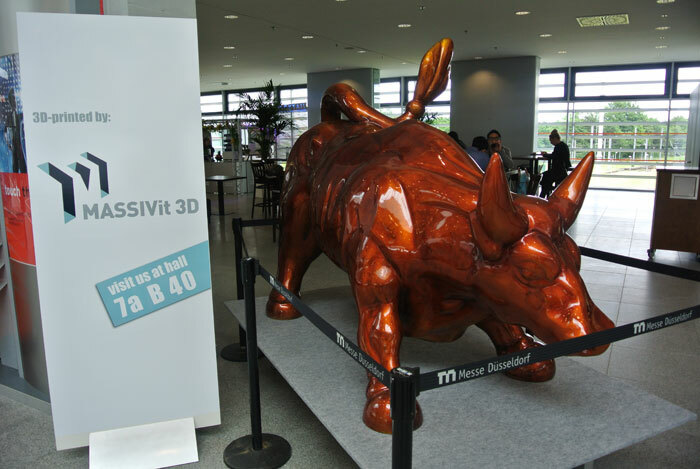 Israeli 3D companies going full force this time in Drupa 2016, one of them is Massivit 3D. This is a company who print giant 3D model for promotion applications. Using similar FDM-like technology, the printer injects gel-like material who has a shelf life of 6 months to print massive model. Massivit 1800 series can print up to 35 cm or 14 inch per hour and sports a hollow light-weight product that can minimize cost of handling and transportation. Models came from printers in white color and need post-processing to add color and coating. The machine itself is ready for shipping and it cost around 350K to own.